that supports the “health” of your family. 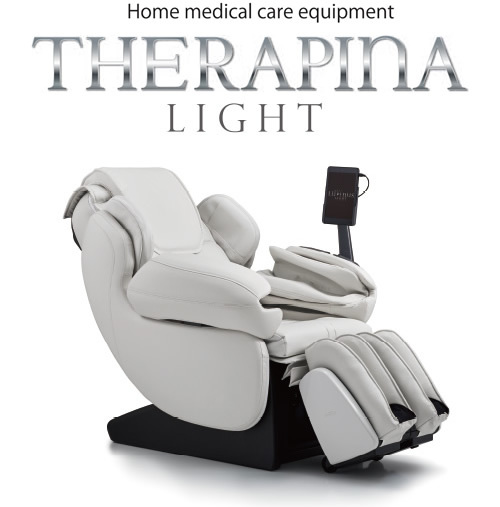 Supporting your family’s health with a massage chair. 54 years of accumulated experience and FAMILY INADA arrived at the answer. select by feeling and function. 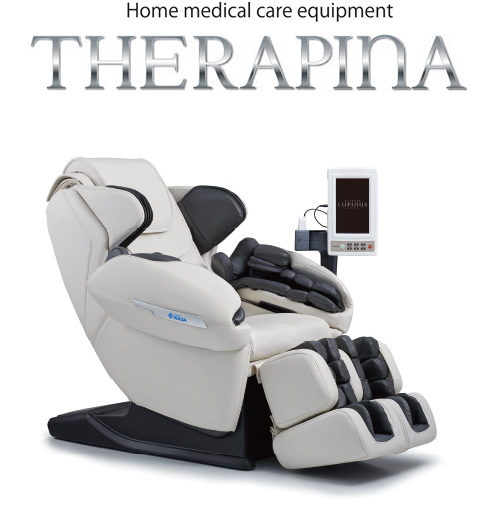 With a full-function "artificial intelligence system" and a "communications network"available in Wi-Fi models, this is the flagship "THERAPINA''model. Featuring the "artificial intelligence system" and "communications network" at a reasonable price, this is a light model that realizes complete massages and health management. 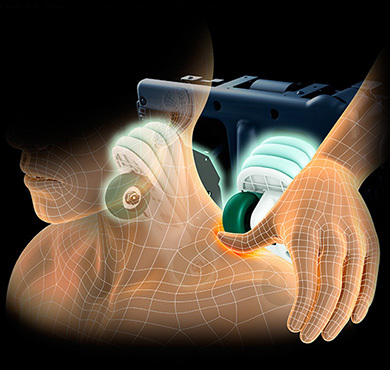 Not only is massage strength controlled by the artificial intelligence mechanism according to stiffness (hardness) of muscles, but massage balance is also automatically adjusted by the "8-axis Al mechanism" according to the difference in stiffness conditions at both right and left sides of the back. *1: Generic name for muscles in the posterior region of the thigh such as biceps femoris muscle, semimembranosus muscle, and semitendinosus muscle. Copyright © 2013 Family Inada Co., Ltd. All Rights Reserved.